In many parts of the country a one-hundred-year-old house would attract little attention, but in South Florida, a century takes us back to the beginning of our communities’ modern history. One hundred years after its construction, the preserved Sample-McDougald House is now a destination for community heritage and culture. March 1 – 31, 2019 South Florida nature photography by Chris Mullen. “Nature through a Lens” (throughout March) – An exhibition of South Florida nature photography by Chris Mullen. JOIN US ON THE GROUNDS OF THE HISTORIC SAMPLE-MCDOUGALD HOUSE FOR A FUN EVENING OF GOOD-NATURED JABS AT POMPANO BEACH’S “COWBOY” CITY MANAGER, GREG HARRISON. WEAR YOUR FAVORITE WESTERN ATTIRE AND ENJOY A BAR-B-QUE FEAST, MUSICAL ENTERTAINMENT AND SOME GREAT LIVE AUCTION ITEMS. the history of this region, thus furthering the social, cultural and historic viability of the community. Select your options below to host your table. A DAY OF FUN FOR THE ENTIRE FAMILY! At least one ingredient used in your recipe must be beans or peppers that is normally grown in Florida. Recipe must be attached to entry form. Portion provided must be of sufficient amount to be tasted by up to 5 judges. Entries are to be prepared at home and must be submitted on the day of the event to the entry booth, by noon. Judging will begin at 1:30 pm. 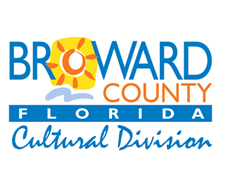 Funding for this organization is provided in part by the Broward County, Board of County Commissioners as recommended by the Broward Cultural Council. POMPANO BEACH.